Wales was once home to a huge range of industrial activities – coal mining, iron working, slate quarries and the products were moved by railway or canal. It's all here – scenic narrow gauge railways, including the newly-opened Welsh Highland Railway, the National Slate Museum, Big Pit Mining Museum, Blaenavon Ironworks plus lots more. The scenery is great too! The Steam Heritage Guide includes contact details, opening times and description of preservation and heritage attractions across Wales. Pontycymer Locomotive Works, Old Station Yard, Pontycymer, Bridgend, Vale of Glamorgan, . Unit 20, Estuary Road , Queensway Meadows Industrial Estate, Newport, Blaenau Gwent, . Coliseum, Terrace Road, Aberystwyth, Cardiganshire/Ceredigion, . Cynheidre, Llanelli, Carmarthenshire/Sir Gaerfyrddin, . Cambrian Terrace, Borth, Cardiganshire/Ceredigion, . The Silver Mountain Experience, llywernog, Ponterwyd, Aberystwyth, Cardiganshire/Ceredigion, . Fountain Road (opposite the Nature Reserve), Aberkenfig, Bridgend, Bridgend, . Victoria Road, The Maritime Quarter, Swansea, Swansea, . Unit 2, Viking Way, Winch Wen Industrial Estate, Swansea, Swansea, . The Cross, Broad Street, Newtown, Powys, . 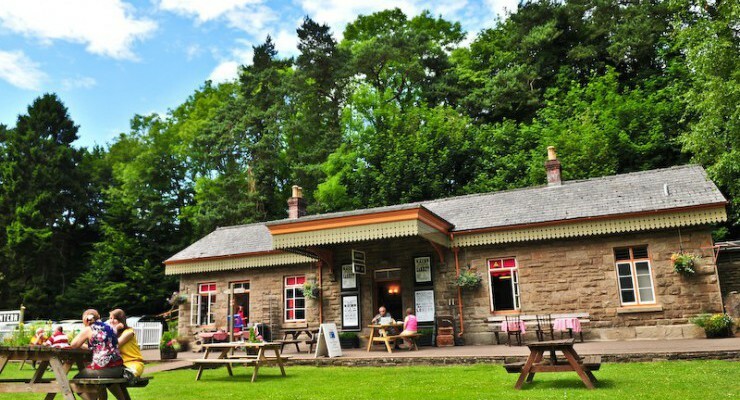 The Old Station, Tintern, Monmouthshire/Sir Fynwy, . Lower House Farm, Manafon, Nr Welshpool, Powys, . Carew Airfield, Carew, Pembrokeshire/Sir Benfro, . The Copper Kingdom Centre, Amlwch Port, Anglesey/Sir Fon, . Gwern Avenue, Senghenydd, Caerphilly, Cardiff, . Wharf Hill, Llangollen, Denbighshire/Sir Ddinbych, . Trevor Wharf, Llangollen Canal, Trevor, Denbighshire/Sir Ddinbych, . Off Castle Road, Chirk, Wrexham, . Stephenson Street, Newport, Monmouthshire/Sir Fynwy, . Off B4518, Machynlleth, Dylife, Powys, . Cyfarthfa, Merthyr Tydfil, Merthyr Tydfil, . Ty Mawr Road, Whitchurch, Cardiff, Cardiff, . Off Swansea Road, Merthyr Tydfil, Merthyr Tydfil, . Penyard Road, Hirwaun, Rhondda Cynon Taff, .